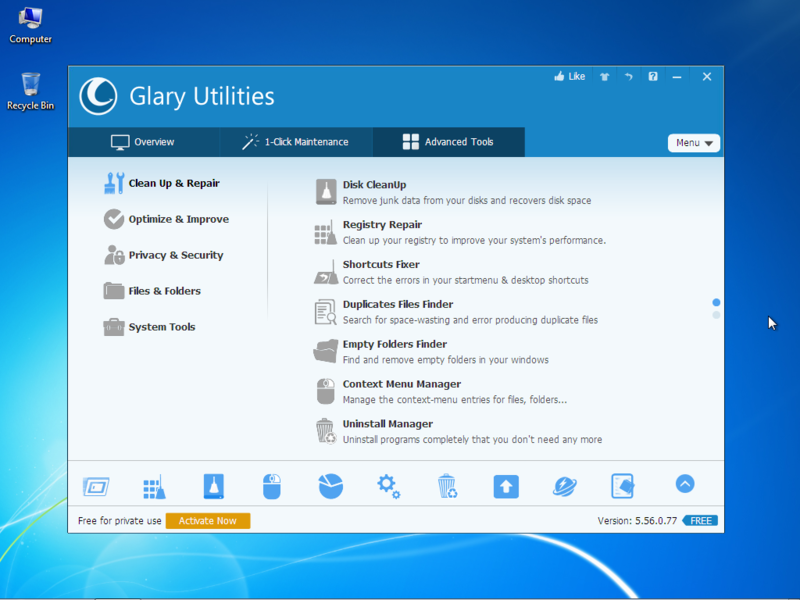 Glary Utilities Free Download 2016 Edition latest version 5.56 for Windows 32/64 bit. Get Glary Utilities offline setup, standalone installer. Glary Utilities is a pack of multiple tools designed to fix different issues with your computer. You can use this application to improve the performance and security of your operating system.The user interface has a clean simple design with buttons for each component. The first one is called Clean Up and Repair and contains tools designed to clean your registry by doing a scan of your Windows registry. 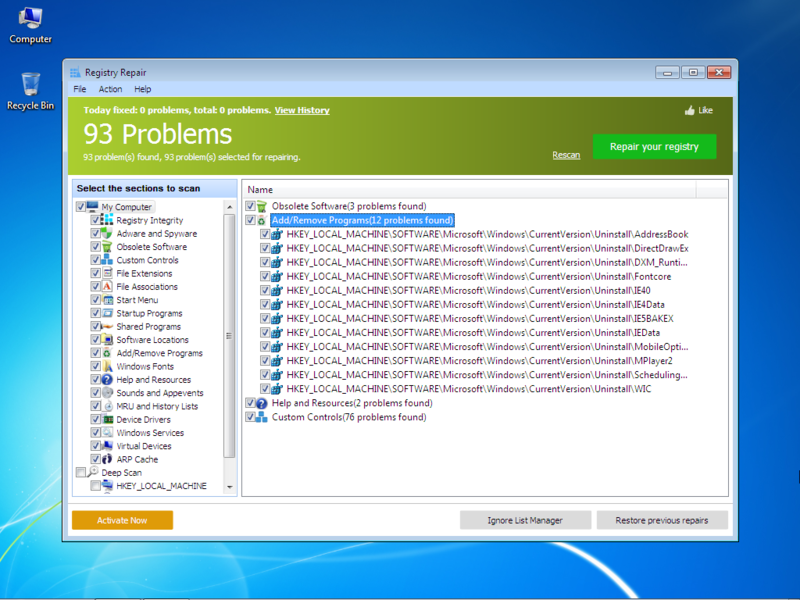 Many of these issues are able to cause system crashes, blue screens, computer freezing and lack of performance. Another tool that you will find here is the Uninstall Manager. This is a very simple and lightweight software uninstaller which provides efficiency and a better result. Many uninstalled programs leave unnecessary files and registry keys behind and this tool will try to delete the most of them. You’re also able to do multiple uninstalls at the same time. Installed applications can be sorted by few filters like Large Programs, Rarely Used, Windows Updates and programs installed recently. Sometimes after you uninstall a program the folder which held files might not be deleted, but now you can search for empty folders using the Empty Folders Finder. This simple tool will scan your partitions for folders that don’t have any files inside and gives you the possibility to delete them. Another useful tool is the Disk Cleaner. This helps with the deletion of unwanted files and folders that are located on your system. Most of them are temporary internet files, incomplete uninstallers, useless log files and Recycle Bin content. You can also backup these files before performing the delete process. The Shorcuts Fixer does the job of finding shortcuts which try to point to invalid addresses. After the scanning is complete you can either delete them or update the shortcuts with new locations to direct at. Glary Utilities provides tools for many problems, you can either download this free version or download Glary Utilities PRO version. Improved design: new intuitive interface. Lots of tools designed to scan and fix different areas of your computer which might face problems. Memory Optimizer tool: automatic memory optimization of better performance and use. Provides information about installed software that needs to be updated. Shortcuts Fixer: delete or update the location data of broken shortcuts found on your computer. Click the link below to start the Glary Utilities Free Download Latest Version 5.56. If you have any problems while downloading please leave a comment below. After the page opens remember to choose the “Download through your browser” option to start downloading Glary Utilities Offline Installer, Standalone Setup.